Multi-tier Shelving Systems – Canadian Rack Inc.
Companies are looking for ways to save money and improve efficiencies, and multi-level shelving systems might be that solution. These metal shelving systems allow you to take advantage of unused vertical space to create additional storage space within your existing facility. Multi-Level shelving eliminates extra heating, cooling and lighting costs. This style of metal shelving allows you to greatly increase your storage space by capitalizing on unused vertical space. By building up you can add additional floor levels and double or triple your usable storage space. 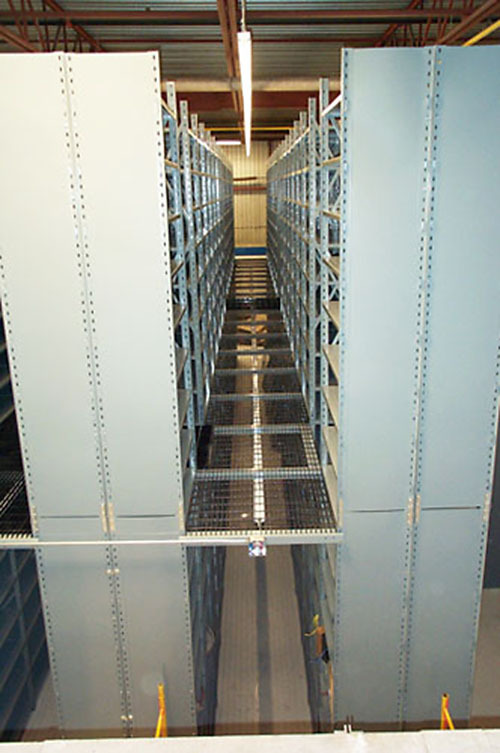 Multi-tier Shelving systems are custom designed to fit the specific needs of your facility. They can be built from scratch or added to existing shelving systems without the need to disassemble the existing shelving. This metal shelving can adapt to practically any free-standing or fixed storage structures in your facility.